Open the refrigerator, and you find leftovers and fresh ingredients with a short remaining life­span. What to do? The lion’s portion of these foods will end up in the trashcan, after which we will continue our cycle: purchase, partially consume, discard. 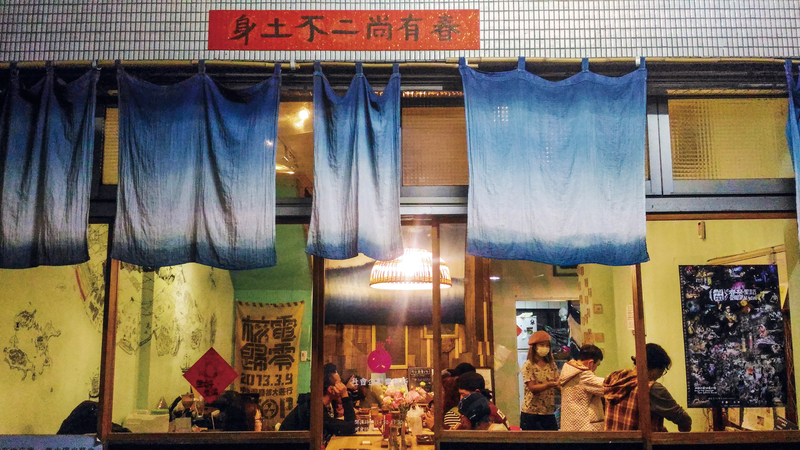 In recent years, the world has seen a wave of campaigns promoting creative use of surplus foodstuffs, and in Taiwan too some people are responding with practical action. 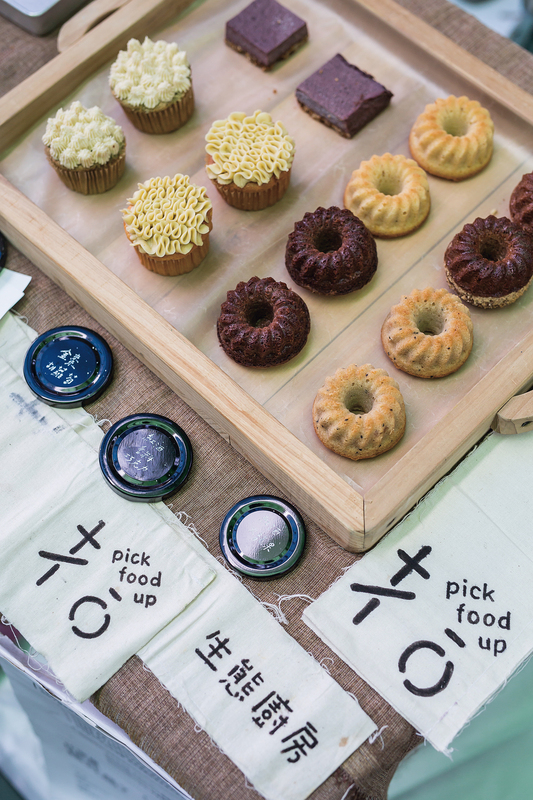 At Pick Food Up, Ann ­Huang applies a professional mindset to fashion confections from them; meanwhile, 7C Kitchen’s Hedy Yang is willing to incur debt in order to run a restaurant specializing in cuisine made with “leftovers” of various kinds. These two women are using their creativity and passion to transform surfeit into fine fare. The term “food waste,” meaning food that is discarded uneaten, can refer to blemished or misshapen fruits and vegetables, or goods that are eliminated when food is processed, but the larger amount is foodstuffs that are discarded because they are insufficiently fresh, at the wholesale stage or later by consumers. Approximately one-third of all food is lost or wasted annually, according to United Nations statistics, even as people are ­dying of hunger in many countries. What to do with food waste that is unquestionably edible is an issue that both governments and society at large must face up to. “Hello, we’re Pick Food Up. 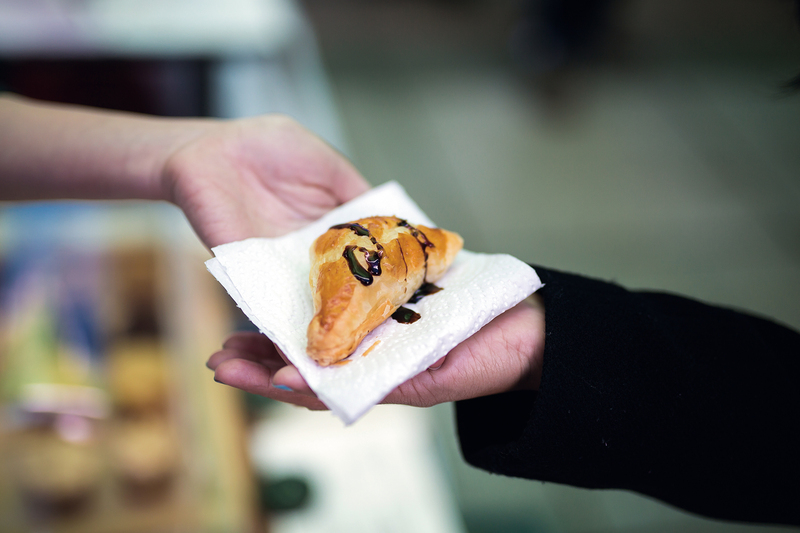 We make desserts from rejected fair-trade and organic food products, as well as blemished fruits and vegetables,” explains a good-­humored young woman repeatedly as she hawks a variety of pastries and snacks to the bustling crowd at a stall in a holiday market. 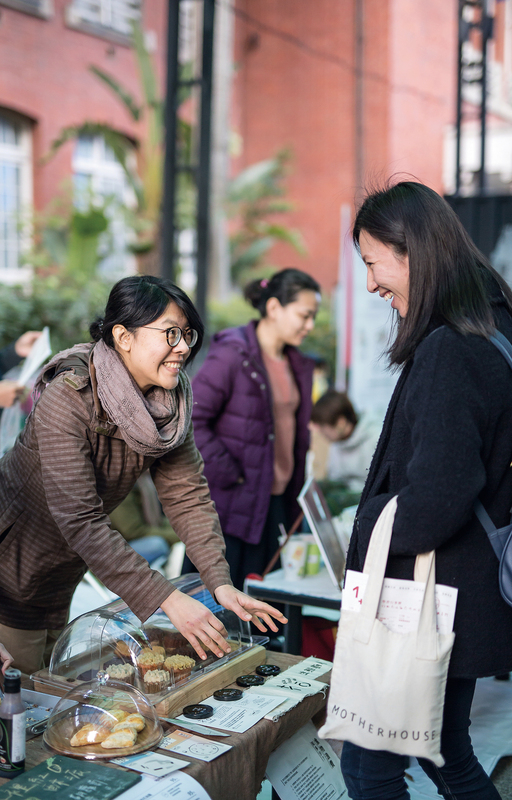 Meet Ann ­Huang, the founder of Pick Food Up. In order to learn more about the connection between foodstuffs and the environment, ­Huang traveled to Italy and steeped herself in the practice of “slow food.” While laboring on a farm there, she was amazed to learn that the owner of the farm where she was working visited meat and vegetable vendors weekly, putting their unsold goods to use by cooking up a host of delicious dishes, a lifestyle that effectively rendered the farmer “self-­sufficient” foodwise. She also did a stint as an intern at Holland’s renowned Instock Restaurant to see for herself how unsold foodstuffs are collected and utilized. Reducing food loss not only prevents food wastage, it is also an expression of our concern for the environment. When foodstuffs whose cultivation has consumed nat­ural resources end up in the trashcan, this doesn’t merely represent wasted resources; incinerating that rubbish also harms the ecosystem. 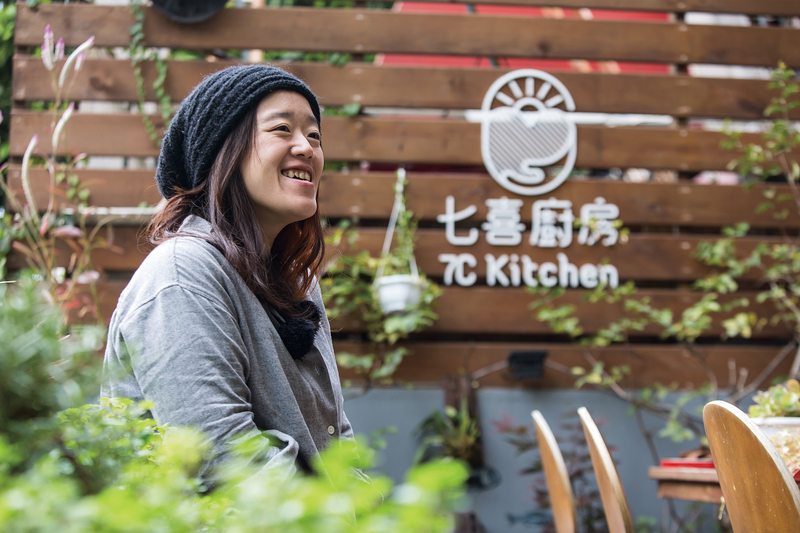 Newly aware of how caring for the environment and cooking could be integrated, back in Taiwan ­Huang was keen to put her knowledge to good use. Based on observations made during her internship at Instock, ­Huang cultivated relations with food manufacturers and suppliers who were likely to have “non-­standard stock” on their hands, and began to buy from them flour and cocoa nearing their use-by dates. Factories and cafés where she had once worked were also willing to supply her with items such as jam nearing its sell-by date, broken rice, and blemished fruits and veget­ables. Thanks to her constant experimentation, what others considered “surplus” goods were transformed into mouthwatering desserts. The proportions of ingredients used in certain confections are very exacting, and at Pick Food Up—where the principle ingredients are surplus foods—obtaining the right amounts at the right time can be very elusive. For example, in the first dessert developed by ­Huang—a purple-rice pudding tart—surplus items such as purple glutinous rice, egg white and wheat-germ bread are indispensable. Last year’s harvest of purple rice was smaller than usual, which meant there was less broken rice available from rice millers, so this sweet didn’t figure on the menu. Not long ago, however, ­Huang got her hands on a bag of the colored grain, and thus Pick Up Food’s classic treat finally reappeared. Fragrant with the scent of longans (dragon-eye fruit), a bite of the chewy purple rice filling immediately brings a sparkle to the eye. Huang first steams the rice till it is cooked through and combines it with egg white. The bread is baked dry and crumbled, the dried longans are added to it, and this crust serves as the base of the tart. This year Huang has added a layer of dark chocolate between the filling and the crust. 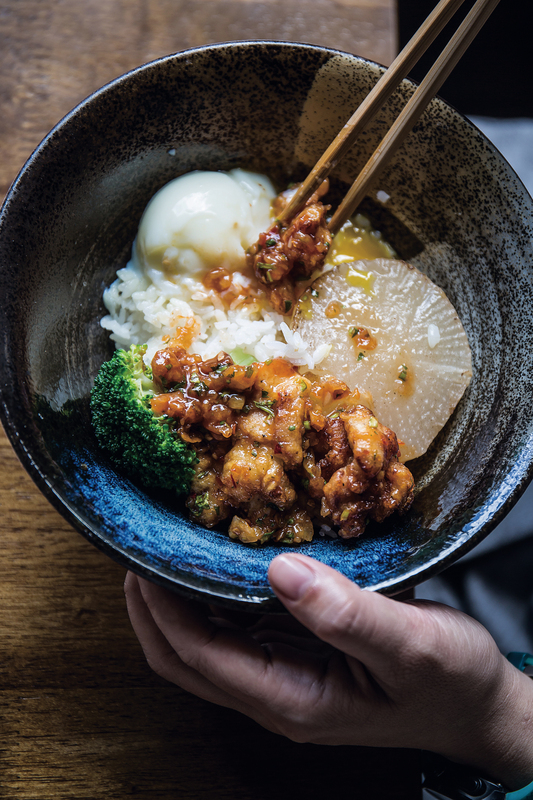 Blessed as she is with sensitive taste buds, ­Huang customarily imagines how a dessert would taste first, and then employs the surplus ingredients she has collected to attempt—over and over—to make her imagined dish a reality. For instance, take her matcha chiffon cake with pear and fragrant olive blossom cream, or her carrot chiffon cake with kumquat cream topping. These flavors may not sound compatible, but sparks fly when they’re combined. 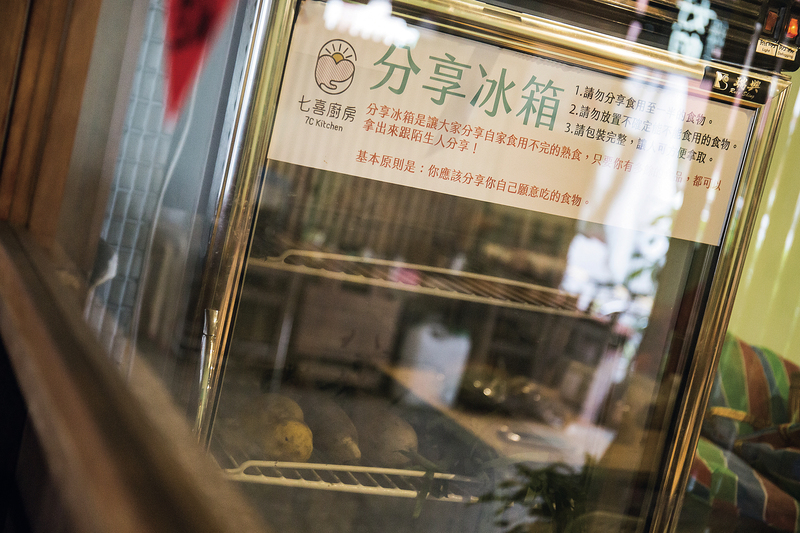 In addition to producing desserts, ­Huang takes on catering business for which she also uses mainly surplus food as ingredients, transforming them into roasted rice balls with truffles, rosemary-­flavored potato scones and so forth. She used ingredients such as organic carrot leaves with purslane to pickle mustard greens, and added okara to flour near its sell-by date to make spanakopita-inspired pastries, which were widely praised at a dinner party organized by Dutch designer Siem Nozza during his stay as a designer-in-residence at Taipei’s Treasure Hill. 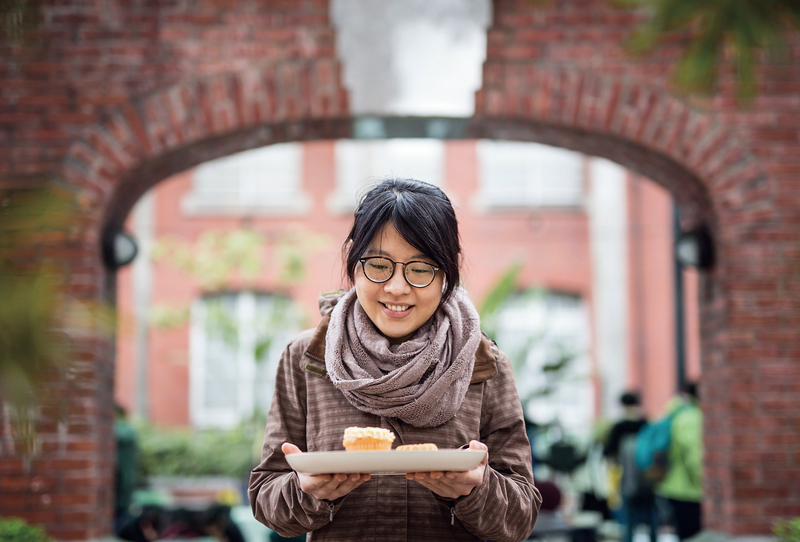 Hedy Yang had started out by making free meals for homeless people. One of her volunteers introduced her to an organic produce vendor at a traditional market to whom she explained her concept, and he happily agreed to supply her with his unsold blemished fruit and vegetables. Then she and her team went on to speak with other stall­hold­ers, who also responded positively—she hadn’t imagined that the food donated by a single market could feed so many people! 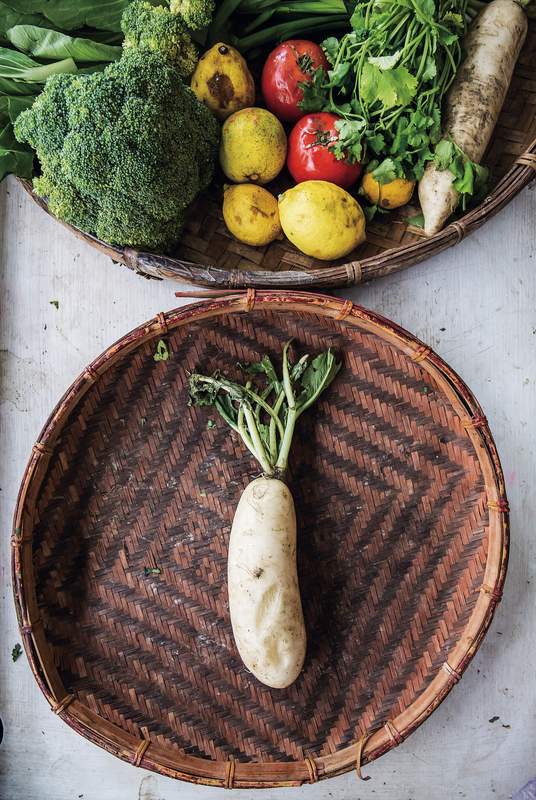 So Yang put out the word for those in need to gather in Tai­chung’s Hua­mei Street to enjoy delicious dishes made with unsightly or over-ripe fruits and vegetables. After­wards, diners were invited to place a payment—the amount determined by themselves—in a collection box, or to offer their labor in exchange for the meal. This marked the debut of the first 7C Kitchen. 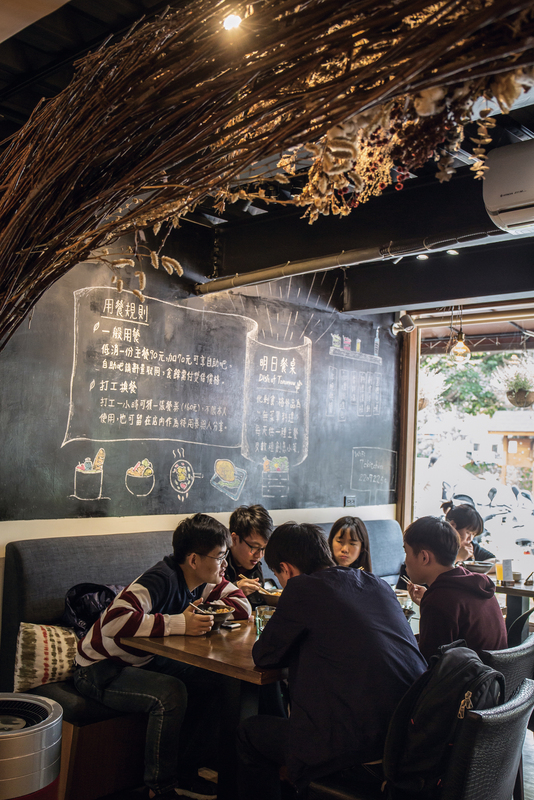 Located on Hua­mei Street, 7C Kitchen positions itself as a “community kitchen.” During the day, staff collect unsold vegetables and meat from the nearby market and return to the Hua­mei Street cookery. The items are washed and cut by staff and volunteers, who transform them into a bevy of delicious dishes. In the early evening, families, students and the economically strapped are all welcome to partake. “Dinner is served on schedule at 6:30 p.m.,” explains Liao Jia­lun, the restaurant manager. “At times the food is almost gone before 7:00, so we send staff out to neighboring households to ask if they have any extra food.” Neighbors passing by may come in for a chat, and some take the opportunity to see if there are any ingredients they need. Huamei Community Kitchen also offers free refri­gera­tion of extra foodstuffs. Each day, after donations have been collected but before cooking begins, staff select those that will be used and place excess vegetables, fruits, tofu and so forth in the kitchen’s refrigerator, or on a counter at the entrance, where people in need are free to take them. If people have leftovers, they are welcome to bring them to the kitchen and share them. Having opened the second restaurant in a wave of enthusiasm, during the day Yang sold the exotic curry at which she excels at a fixed price, while at night the clientele determined how much they wished to pay. But operations at the Yude outlet quickly ran into problems. The recipe for the curry, Yang’s personal creation, fuses various spices. With a unique flavor that distinguishes it from the standard curry powders on the market, its unit price is also high, so the dish didn’t catch on with local diners. After long discussions with her team about how to tweak operations, in the end she chose to go for broke by featuring a plat du jour that changed daily—without à la carte offerings. The restaurant is dependent upon suppliers’ unsold stock of blemished fruits and vegetables, and this means availability of specific ingredients cannot be guaranteed. But because it sources only eco-friendly and certified local surplus produce, consumers benefit from peace of mind. Like the attitude of a mother who opens her refrigerator to lovingly prepare a lunchbox for her children, the chefs are free to exercise their creativity and transform surplus goods sourced from trusted brand-name suppliers into mouthwatering meals. The basic price is set at NT$100 or so, with the option of paying an additional NT$70 for an all-you-can-eat buffet. Thanks to this experiment, business at Dish of Tomorrow has gradually taken off. Dish of Tomorrow has also introduced a work-for-your-meal system, and meal coupons that can be used by the holder, or left on the wall so that those in need can take advantage of them. The issue of food wastage is an issue that needs every­one’s attention, emphasizes Yang, and she hopes that Dish of Tomorrow will help build awareness of it. She welcomes interested friends to visit for a better understanding, and to help disseminate the concept she will unreservedly detail the operating policies that drive 7C Kitchen. Thanks to the vision of start-ups like Pick Food Up and 7C Kitchen, our imaginations have been turned upside down. The campaign to maximize usage of surplus edibles requires your active participation in order to bring those wonderful flavors to a wider audience!